PlayerUnknown’s Battlegrounds’ is on Xbox today. The console’s more casual feel benefits players who prefer a more strategic, slow-moving pace, but that’s in part because the game’s signature jankiness is significantly jankier here—it’s hard to play ambitiously when everything from switching weapons to jumping off the airplane is just a little more finicky. If you were hoping for a more polished Battlegrounds experience, I’m sorry. 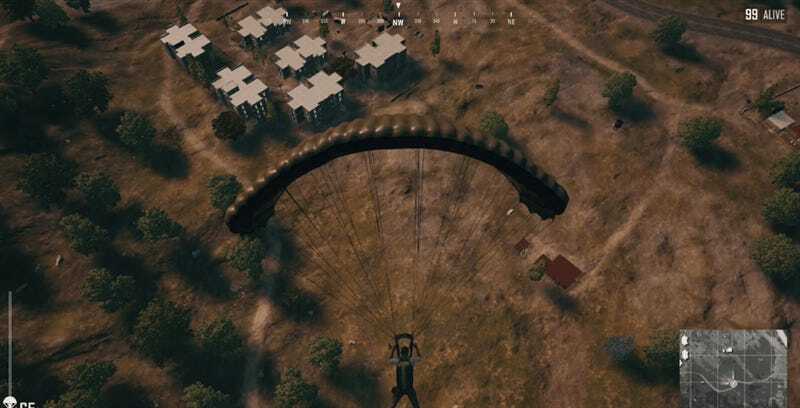 Battlegrounds dominated the PC gaming world this year despite boasting more bugs than its developers can likely count. It’s a euphoric game—a lip-biting, lean-into-your-monitor survival shooter that’s easy to get wrapped up in. 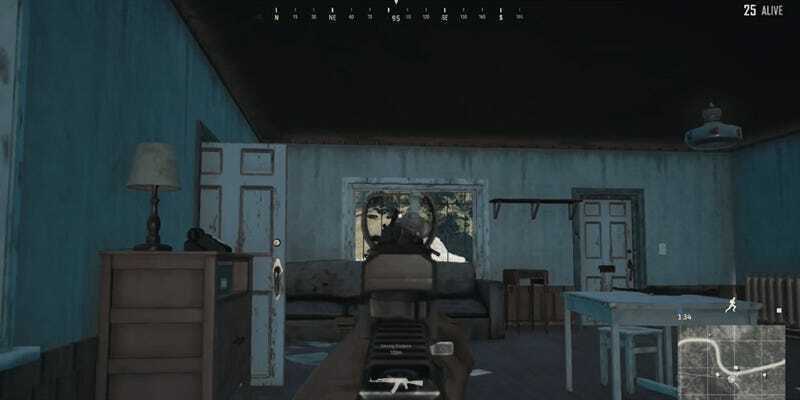 When developer BlueHole announced Battlegrounds would be coming to Xbox (still in early access) at this year’s E3, a wave of hype washed over the game’s dedicated audience while other players I spoke with wondered if its glitchy appeal would translate. The answer is yes and no. Everything before the actual game is the same roller coaster of graphics quality and framerate drops. The opening screen’s gorgeous high-res image yells, “This is a high-quality Xbox One game!”. 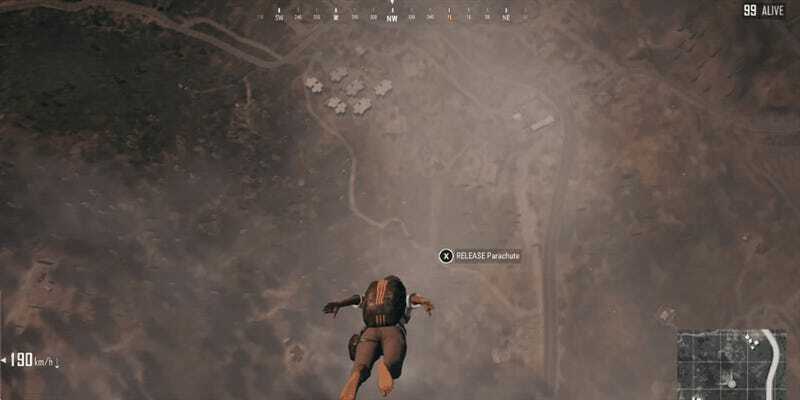 The lobby where players queue up for matches and the experience of parachuting down from an airplane onto the map look awful. Objects appear like to load in two dimensions. Shadows simply pop into existence. Collecting items, organizing your inventory, switching between weapons and interacting with Battlegrounds’ world feels about the same as it does on PC—finicky, but ultimately fine in the grand scheme of the game. It often took me several button presses to open a door. Picking up a specific item instead of the item next to it is not an easy feat. These are both feelings PC players are familiar with. 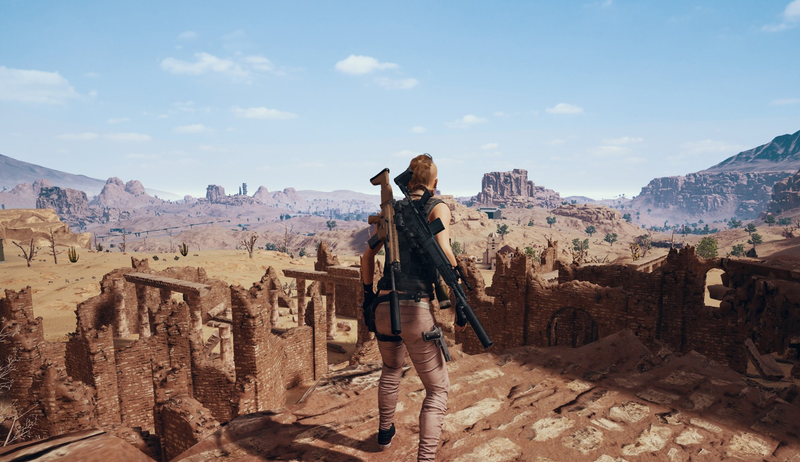 Battlegrounds’ Xbox port made two of the game’s more common mechanics frustrating: switching between and reloading weapons. Although the control scheme notes that a simple “Y” push should give me my AK-47 instead of my Micro Uzi, it often took a few pushes, and same with reloading with “X.” You have to just really want to do some things to get them done. Struggling to make Battlegrounds’ controller button-mapping feel fluid in my hands reminded me how of very much this game was built for PC. There’s just a lot of menu stuff to do in the average Battlegrounds game, and a lot of very swift changes that are made swifter on a big keyboard with lots of buttons. Thankfully, the Xbox port’s menu is actually quite intuitive and fast, making it easier to make certain changes mid-firefight. Others, like shifting to a gun scope view, can be a little more testy. Everything great about Battlegrounds translates here, as well as everything bad. On Xbox, I felt a little less stressed than I would be if I were on PC. With compromised aiming, it was easier to concentrate on the bigger picture. I was more excited about exploring the world. If I wasn’t about to headshot someone, or make a swift weapon change when I needed it most, I could focus more on a more sprawling gameplay strategy. The ability to make minute changes to a mouse position for optimal aim doesn’t matter on console. I easily sunk into my couch while my character crouched in a bedroom, gun pointed out a window, just waiting. Battlegrounds on Xbox makes the game more for everybody, if possible—as long as its glitchiness doesn’t deter you.